More than 100 Nobel laureates have put their names to a letter urging Greenpeace to end its opposition to genetically modified organisms (GMOs). The letter asks Greenpeace to cease its efforts to block the introduction of genetically engineered Golden Rice, which supporters say could reduce vitamin-A deficiencies that cause blindness and death among children in the Global South. The letter campaign has been organised by Sir Richard John Roberts, a biochemist and molecular biologist with New England Biolabs, and Phillip Sharp, winner of the 1993 Nobel Prize for the discovery of genetic sequences known as introns. The letter urges Greenpeace and its supporters to re-examine the experience of farmers and consumers worldwide with crops and foods ‘improved’ through biotechnology, recognize the findings of authoritative scientific bodies and regulatory agencies and abandon their campaign against GMOs in general and Golden Rice in particular. Roberts says that the signatories are scientists who understand the logic of science and that the attitude of Greenpeace towards GMOs is “anti-science.” He implies Greenpeace engages in scaremongering. The letter states that scientific and regulatory agencies around the world have repeatedly found crops and foods improved through biotechnology to be as safe as, if not safer than, those derived from any other method of production. It argues that there has never been a single confirmed case of a negative health outcome for humans or animals from their consumption, and their environmental impacts have been shown repeatedly to be less damaging to the environment and a boon to global biodiversity. Roberts is a Fellow of the Royal Society in the UK. Last year. he was in India promoting GM crops and food. While in Mysore, he delivered a talk on ‘A Crime Against Humanity’. He said that when people were hungry, they needed food but rich European countries are opposing introduction of GM crops because they have sufficient food and went on to say that their propaganda against GM crops is affecting hungry people in the developing nations. Roberts added that to help people in need, we need “more science in politics and less politics in science” and also asked why should not the denial of food to people in developing nations by developed nations be considered a crime against humanity. During a talk in Hyderabad, he said that “millions of people in the third world” would die of starvation unless GM crops were introduced and added that Greenpeace is in the business of scaring people when it comes to GM crops. It seems a little strange that Roberts would attack Greenpeace for ‘blocking’ the introduction of Golden Rice when new research from Washington State University indicates that the reason it hasn’t come to market is because, after over two decades of expensive research, it basically does not work, alternative approaches to supplying vitamin A to children are actually working and that the actions of campaigners have had no impact on its failure to reach the commercial market. For Roberts to acknowledge these three facts would derail his agenda of promoting GMOs based on emotional blackmail and demonising opponents. He engages in PR, not science. His emotive rhetoric is intended to play to a media-led public gallery, not least his desire to haul Greenpeace into court for committing crimes against humanity because it is blocking Golden Rice and denying nutrition to the poor. Being in possession of a science degree, no matter how eminent you may be in your relevant discipline, does not provide a free pass to spew out ill-informed personal opinion, or pro-industry PR, and to assume such opinions will be automatically respected (see ‘Inside the Church of the pro-GMO Activist’ ). “W all due respect, science is about evidence not authority. What do they know of agriculture? Done relevant research?” He added that the 107 Nobel laureates comprised one peace prize winner, eight economists, 24 physicists, 33 chemists and 41 doctors. The type of PR Roberts is engaging in relies on the media and public bowing down to a scientific priesthood whose authority should never be questioned. But it should be and it has been. And, in questioning the claims Roberts makes, it soon becomes clear he is not basing his position on facts, but falsehoods and misrepresentations. As a Fellow of the Royal Society (RS), Roberts should be aware of the Society’s failure to acknowledge and correct the misleading and exaggerated statements that it or its members have used to actively promote GMOs and smear critics since the mid-1990s and, in effect, convey false impressions. Roberts himself appears to be reading from a similar script. See the open letter to the RS from Steven Druker (author of ‘Altered Genes, Twisted Truth’, which discusses the scientific fraud underpinning the attempt to alter the genetic core of the world’s food supply for the benefit of powerful interests). While Roberts likes to convey the impression of an overwhelming consensus on the efficacy and safety of GMOs, this is not true – whether among scientists themselves, scientific literature or prominent institutions. For instance, Food & Water Watch has produced this informative, fully-referenced brief on the general lack of consensus within science on GM. Furthermore, readers may also wish to consult this by geneticist Mae-Wan Ho, which addresses the “central dogma” of molecular biology that provides a “simplistic picture” of the precision involved in GM, and this (which cites peer-reviewed sources) on the failures of 20 years of GMOs. As for GM ‘feeding the world’ or helping to eradicate disease and malnutrition, we should move beyond rhetoric. In 2014, the Canadian Biotechnology Action Network (CBAN) released a fully referenced report that concluded hunger is caused by poverty and inequality. GM crops on the market today are not designed to address hunger. Four GM crops account for almost 100 percent of worldwide GM crop acreage, and all four have been developed for large-scale industrial farming systems and are used as cash crops for export, to produce fuel or for processed food and animal feed. The report also stated that GM crops have not necessarily increased yields and do not increase farmers’ incomes. Moreover, GM crops as a whole have led to an increase in pesticide use. CBAN is merely one source from many that could be used to make these points. Hunger, poverty and inequality cannot be remedied by a bogus techno quick fix like GMOs. Eric Holt-Giménez provides useful insight into the social and political factors that create and perpetuate hunger and food insecurity as do Walden Bello and Michel Chossudovsky. Roberts is not unique among those who find the line between science and pro-GMO propaganda hard to distinguish. From Kevin Folta, Bruce Chassey and CS Prakesh to Anthony Trewavas, Shanthu Shatharam and many others, he is in good company. See ‘Claiming to represent’science’, the global GMO industry is built on fear, fraud and corruption‘ and this excellent piece ‘By their own standard, credentialist pro-GMO activists are ignorant yahoos‘. There is sufficient evidence to show that GM crops do not increase yield, are outperformed by non-GMO crops, or derive positive traits as a result of conventional breeding (see this), and are usually worse than non-GM crops at tolerating extreme climate conditions. Moreover, the experience with GM crops shows that the application of GM technology is more likely to actually undermine food security and entrench the social, economic and environmental problems created by industrial agriculture and corporate control (see this report by GRAIN). From labelling GM food to ‘substantial equivalence’, science has been distorted and debased to serve commercial interests (see this and this). 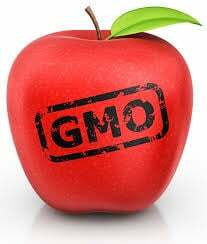 The result is that not a single long-term epidemiological study has been conducted with GMOs, while illnesses and diseases continue to spike since the introduction of GMOs in the US. Despite what Roberts and others who display a similar mindset would have us think, it is not the politics of a bunch of green-oriented elitists that is contributing to world hunger, but the power, influence and ambitions of a very wealthy and politically well-connected cartel of agribusiness concerns that is promoting a highly profitable GM technology, drawing up trade deals, writing legislation to patent and control seeds and is exploiting the situation of the hungry (and do not be misled: there are powerful agritech interests behind Golden Rice). At the same time, it is intent on side-lining approaches to agriculture that can enhance food security in an equitable and sustainable manner (see this, this and this). There is an attempt to depoliticise and disguise the genuine underlying power structures that are determining the GM agenda and global agriculture per se. Certain scientists serve as apologists for global capitalism, which has pushed nations into an economic quagmire due to ‘structural adjustments’ involving prioritizing debt repayment, conservative macroeconomic management, huge cutbacks in government spending, trade and financial liberalization, privatisation and deregulation, the restructuring of agriculture and export-oriented mono-cropping. And this as true for certain African countries as it is for The Philippines, where Golden Rice is being offered as a proxy solution for malnutrition and poverty (despite the fact it is not available!). The reality is the type of rhetoric and misleading, false statements made by certain scientists constitute an attempt to shut down any criticism. It is also designed to side-line legitimate analyses of the root causes of hunger and poverty and genuine solutions for productive, sustainable agriculture that can feed humanity and those who argue for them. mostly white men of privilege with little background in risk science, few with a background in toxicology studies, and certainly none with knowledge of the indigenous agroecological alternatives. All of you should be stripped of your Nobels.